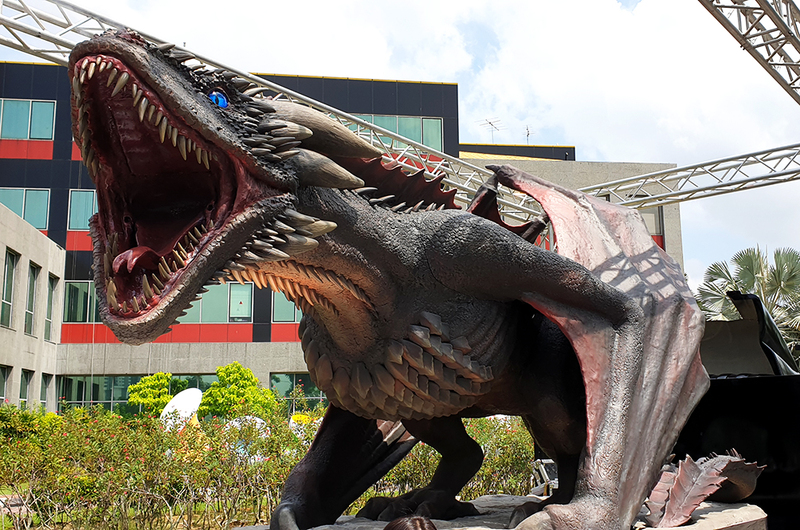 How often do you see a dragon roaming around Kuala Lumpur, right? But for a period of one week, you will see one making its way around the city - and this time we're not joking. 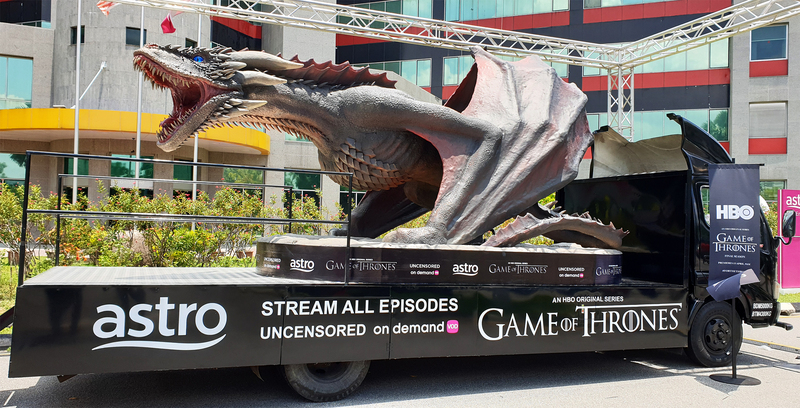 On Friday, Astro and HBO Asia unveiled a 20-foot long replica dragon from the epic TV series 'Game Of Thrones'. 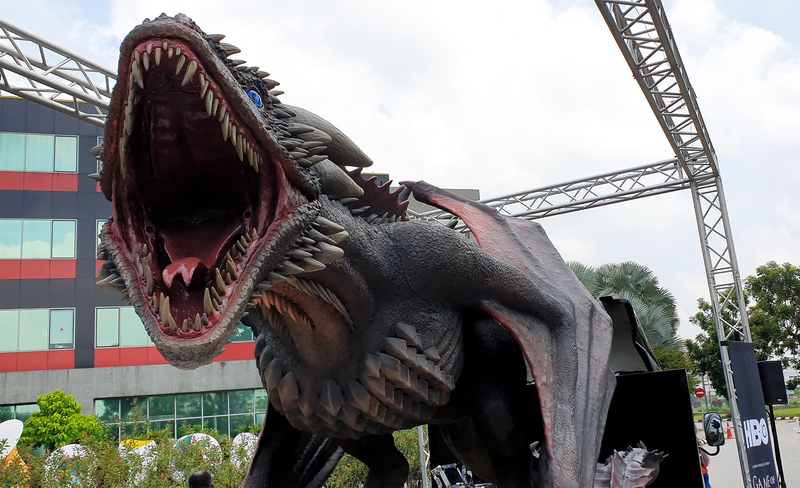 The replica of Viserion, one of Daenerys Tagaryen's three dragons, was unveiled to promote the eighth and final season of the award-winning TV series. 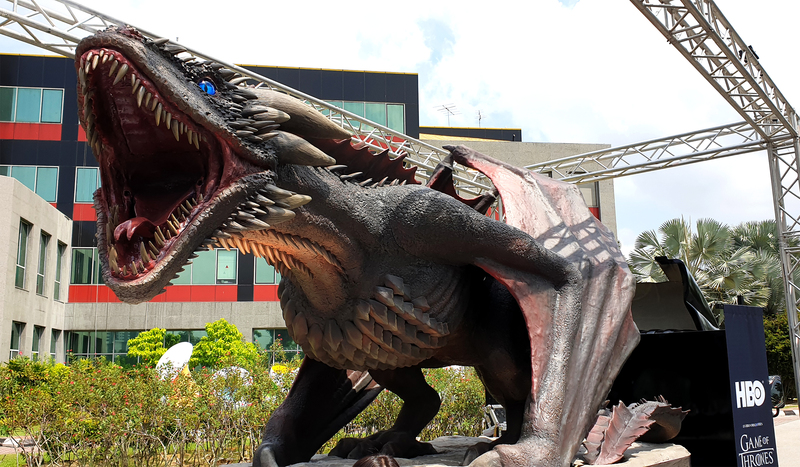 According to HBO Asia, the design of the dragon was crafted based on the (spoiler alert, guys) version of the Viserion that's not been killed by the Night King. You know, before he turned into the Ice Dragon. However, we were told that Viserion's eyes changes colour, from green to blue, to symbolise his change from a Fire dragon to an Ice dragon. 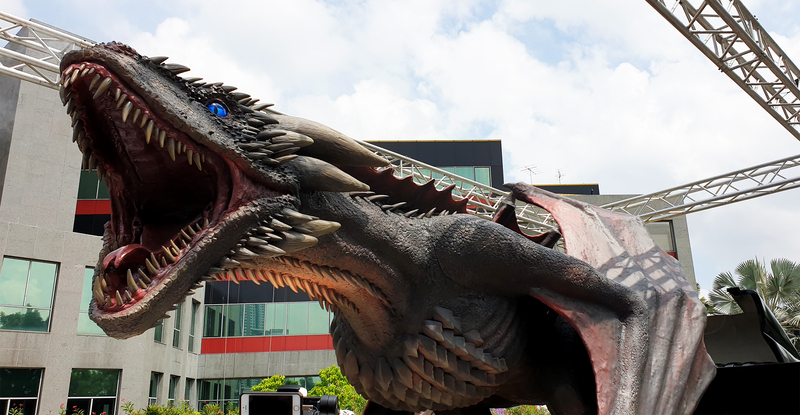 Here's the good news: you'll get to check out Viserion the dragon with your own eyes as it will be making its way around town starting 5 April all the way until 14 April. 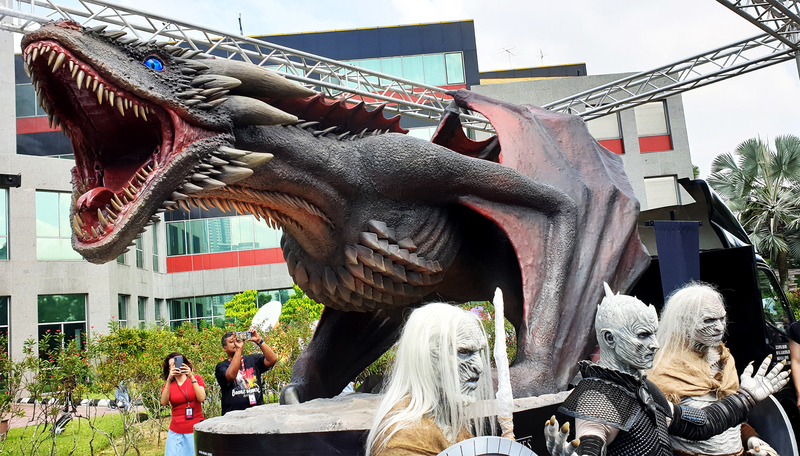 For your trouble, you'll walk away with some exclusive money-can't-buy 'Game Of Thrones' merchandise. Easy peasy. 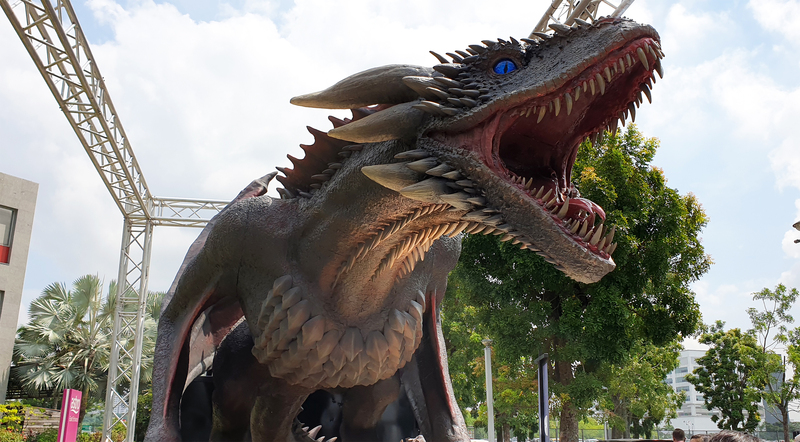 To help you out, we've managed to get our hands on Viserion's roving schedule, so you know exactly where you need to head to if you want to spot the dragon and win some cool prizes. Yeah, we know; we're awesome! This Russian Artist Carved 16 'Game Of Thrones' Themed Sculptures Onto Graphite Pencil Tips!